A multi-performance show in the Capital on Friday will serve as a befitting tribute in remembrance of singer Talat Mahmood. A multi-performance show in the Capital on Friday will serve as a befitting tribute in remembrance of singer Talat Mahmood. Curated by legendary singer’s grand-niece and journalist Sahar Zaman, the show will have live performances on Talat’s song by ghazal vocalist Rashmi Agarwal, a special dance piece by Padma Shri kathak exponent Shovana Narayan with live narration on Mahmood’s life by veteran theatre actor Sohaila Kapur. The special surprise for the audience, however, will be a portrait of the legend being painted by Anubhav Som, on stage in their presence, which will be an image from the Commemorative Stamp that has been released in his honour by the India Postal Service. 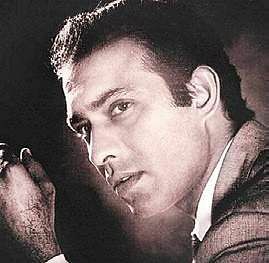 The multi-performance concert was launched in 2017, and this year marks Mahmood’s 20th death anniversary. “It’s been a fabulous journey with Jashn-e-Talat. This show will be our sixth event. All the hard work and the generous contribution by the performers have certainly helped in recreating the magic of Talat Mahmood’s voice. We’ve taken this to Delhi, to Hyderabad and efforts are on to make this a multi-city tribute show,” says Zaman. The author writes on food and entertainment among other things.